For as long as people have been coming to the East Coast of Tasmania, surf fishing its beaches has been one of the most popular pastimes. Whilst not always the most productive form of fishing it certainly is one of the most relaxing. Its something that the whole family can be involved in and I have to say its quite something to see a group of families on the beach, dads with a couple of surf rods out, wives sunbaking on the white sand in the sun and the kids either playing happily, building sandcastles or trying their hand at a bit of light surf fishing. All that is need is a basic range of gear, some comfy camp chairs , an esky full of ice, drinks and food — and of course a separate esky for the bait, sunscreen, hat and sunnies and plenty of time to relax and enjoy the atmosphere. Many of the East Coasts beaches offer very easy access and often some great free camping facilities right on the beach as well as some light rock fishing in some areas. What is it about Bream? While growing up I had the fortune of spending summer holidays at arguably one of the best bream fishing waters in Australia in Ansons Bay. Being young and eager just to feel the weight of a fish on the rod, catching bream was often derailed by chasing the abundant cocky salmon and silver trevally. While these species were on the chew, getting the buzz out of hooking and landing a fish was too much of a temptation. Often schools of bait fish would be busted up in the bay given away by the tell tail signs of seagulls and terns diving in to pick up the scraps left by the salmon as they slammed the abundant anchovies, or what the locals called “sardines”. In Tasmania, larger Australian Salmon over two pounds are often called Black Back Salmon while the smaller models are known as Cocky Salmon. 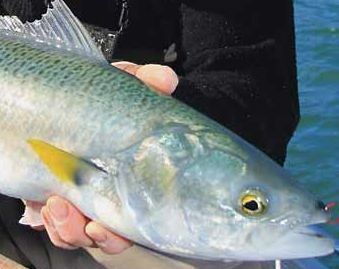 These fish are a valuable and much loved light tackle sports fish that are enjoyed by both land based and boating anglers all around Tasmania. 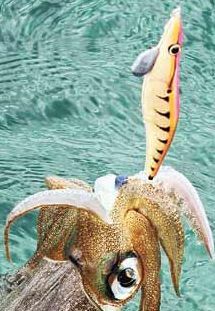 They are a common catch in our estuaries, along our beaches and rocky headlands, and around the many small islands. They are a schooling fish that are constantly on the move along our coastlines, feeding predominantly on krill and small baitfish. They can be found in an estuary or along a particular part of the coast one week and then gone the next, as they move with the changing tides that influence the food they eat. Their presence rarely goes unnoticed when they turn up, as reports of anglers success quickly filters through the local angling community who gather in large numbers to make the most of these fantastic fish. 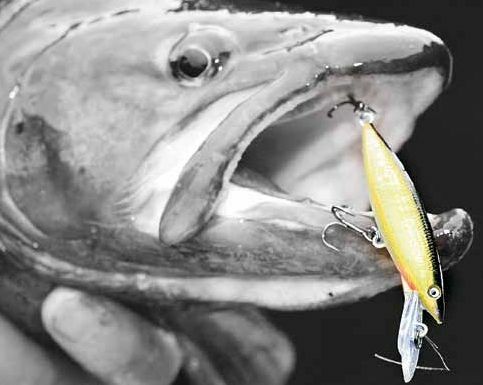 For most East Coast anglers the thought of chasing a few trout usually conjures up images of an extended trip to the central highlands, hours of driving, cool temperatures and long hours on the water to make the most of the trip. However there is some great trout fishing options a lot closer to home than many would think with more than enough variety to satisfy even the most discerning of trout anglers. 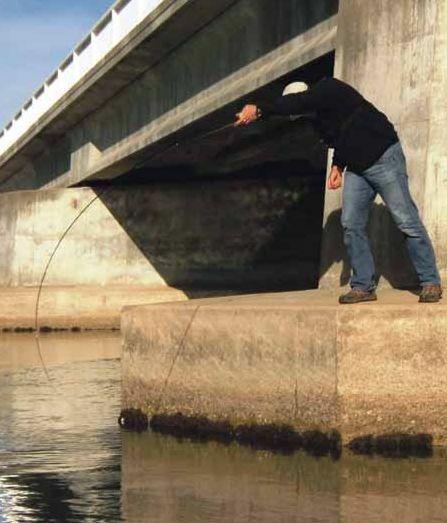 With a good mix of river, lake and dam fishing there is something for everyone. If heading to the rivers my early season recommendations would be definitely some upstream worm fishing in the faster water and small Wattyl Grubs and worms in the slower pools for those wishing to bait fish. A big bunch of scrub worms thread onto a #6 bronze bait holder hook and lobbed unweighted upstream into the tail of runs and eddies is a dynamite technique. If there has been some seasonal rain and the river has broken its banks then its prime time for the worm fisherman, take advantage of the water rising into normally dry drains and into paddocks as the Trout follow and gorge themselves on drowned insects and worms. The annual spawning run or should I say flood of bream to the Scamander River is well underway. Earlier in autumn small schools of adult fish accumulated around the snags in the lower channel of Georges Bay ready for the long run south. When their numbers built up they made the mad dash down the coast and at times could be seen skirting the rocks of St Helens Point as they went. Along the way they were joined by fish from Dianas Basin and Wrinklers Lagoon when these lagoons were open to the sea. At the same time fish travelled north from Four Mile Creek and Henderson’s Lagoon massing in the surf at the mouth of the river. At the top of the incoming tide fish moved in through the mouth of the river and gathered around the best two snags the Scamander River has to offer- the bridges. Now in late winter, their destinations are the long stretches of brackish water that will provide the right environment for the food their progeny will need after they hatch. Wish list, bucket list, call it what you will, I think most of us have one. They seem to come about from conversations with other anglers about different places they have fished, things we have seen on TV or articles we have read in publications such as this one. Some of far-flung places and exotic species but others a little less expensive. This is certainly the case with me; some things just stick in my mind. 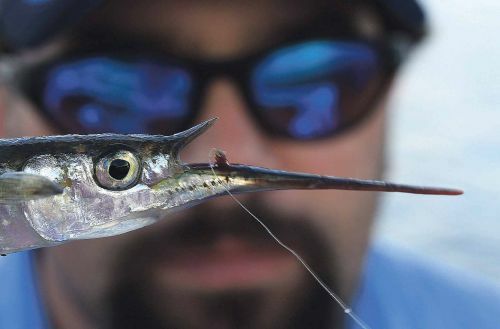 An article I read many years ago by a well-known fishing journalist whose face adorns many soft plastic packets was fishing for garfish on fly. 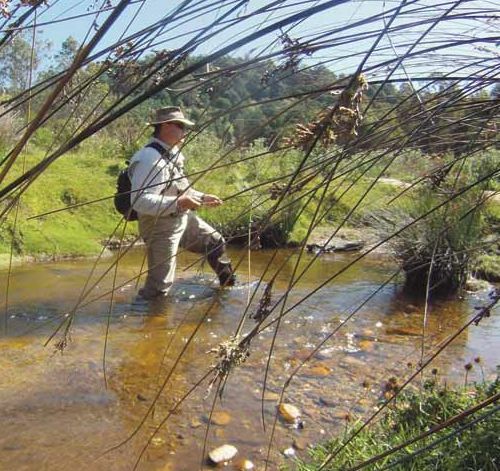 This undertaking was purely about familiarisation with his fly rod, before he went on a trip to New Zealand. 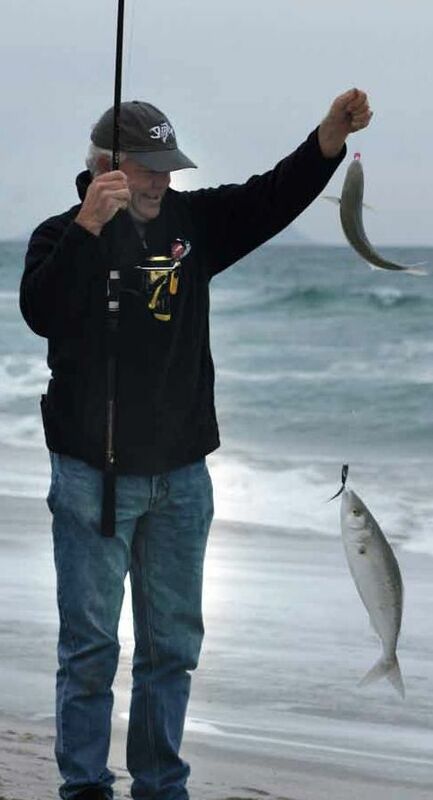 It started out with some burley on the water to attract garfish in an estuary close his home and culminated in him standing up to his crown jewels, in his underwear, with two garfish stuffed down the back of his jocks and a fly hook firmly stuck in his finger. It was more than just the humour of the article that stuck with me and with my interest piqued, I told myself I’d have a crack at garfish on fly one day but I’d give the fish down the back of the jocks a miss! Fifteen years later Jamie Henderson asked me if I would like to spend the afternoon on George’s Bay chasing garfish. “Here is a chance to tick one off the bucket list” I thought and eagerly accepted. Rebounding stocks of Eastern Australian Salmon along the eastern coast and a revealing study into the salmon’s life history have prompted Fisheries NSW to refine the balance between conservation, sport and industry. 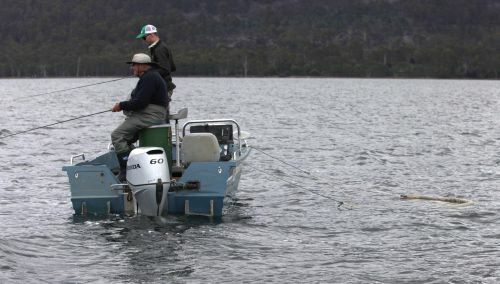 Research findings from an FRDC-funded project have resulted in Fisheries NSW relaxing a 10- year restriction on the commercial take of Eastern Australian Salmon along the NSW coast, north of Barrenjoey Head. The revised management code for northern NSW replaced a daily bycatch limit of 100 kilograms and permits allowing fishers to retain Eastern Australian Salmon as bait, with a 224-tonne-a-year commercial fishery as of 1 December 2011. I don’t think fishing gets any better than watching something come up to the surface and eat a lure off the top. 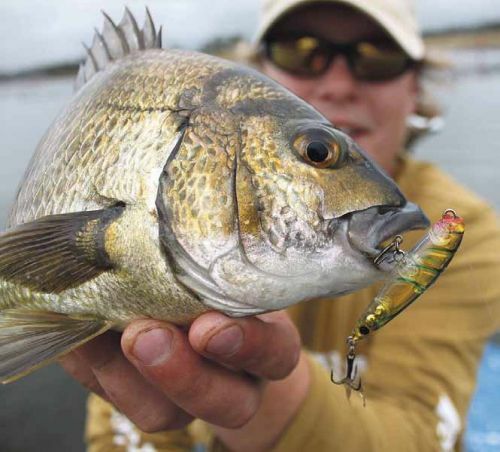 If you’re like me and you love chasing those big Tasmanian bream on lures, then you might have considered casting a surface lure at one time or another. 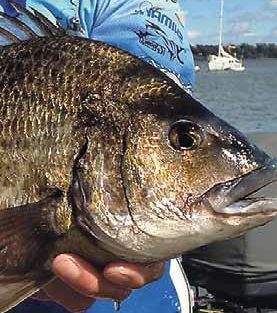 Plenty of people might tell you that “it’s a waste of time”, “black bream don’t like surface lures” or “the water is too cold down here”. Any other number of reasons not to do it might come up. I’m writing this article in the hope that I can disperse that myth and instil confidence in anyone who remains a sceptic. For last three years I have sought out bream on topwater lures in almost every recognised bream estuary, through every month of the year and in every weather condition. You might be surprised to learn that throughout this time I have had very, very few days where I didn’t get at least one fish. Some days are definitely harder than others but in the end, good things come to those who wait. 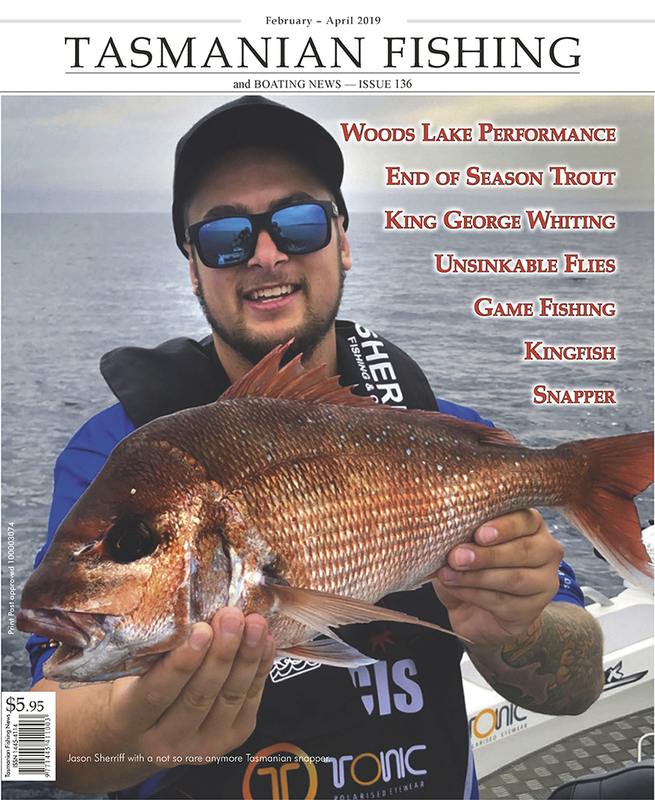 Hopefully I can pass on some information through this article that will help you in your search for that big topwater bream.